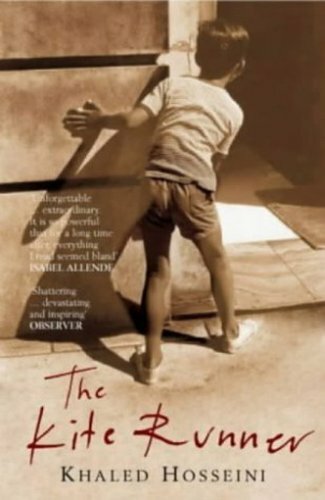 The Kite Runner is a novel written by Khaled Hosseini, an Afghan doctor who received asylum in 1980 as civil conflict destroyed his homeland. This, of course, provides the backbone of the story itself. It is this autobiographical element of the novel that gives it its potency – in fact, I think this personal element is necessary to achieve such an accurate, moving depiction of the horrors faced by many Afghans as their country collapsed under the pressure of many external forces. Hosseini's background has led him to set his second novel, A Thousand Splendid Suns, also in Afghanistan. On one level, the story is a cultural exploration of Afghanistan, through its tumultuous history of revolution and Soviet invasion. It tells the story of two boys in Afghanistan from woefully different backgrounds, and of Afghan immigrants fleeing to America. The book serves to be a great means of education; it gives many the opportunity to learn about Afghan history and culture. This is particularly interesting to many Westerners, with our current occupation of the country: it certainly gave me the opportunity to gain knowledge about this unfortunate country’s history and the nightmarish consequences for the Afghan people, rich or poor. This is perhaps the main reason why I value Hosseini’s work. There is, however, another significant dimension to this book, which adds to its depth. Hosseini’s novel is as much about culture as it is about humanity. It deals with universal issues of friendship, loyalty, betrayal, survival and brutality. The more personal plot, arising from Amir’s friendship with Hassan, is the thread that continues throughout the novel’s plot which spans over two continents. Amir has to deal with a secret in his past (namely, how he betrayed Hassan in an act of cruel, shameful ‘cowardice’) throughout his whole life. The book follows Amir’s course through life and his attempts to escape guilt for his betrayal of his friend and son of his father’s servant, seeking asylum from his hellish homeland in California. The novel’s beauty is in the fact that it effectively portrays, simultaneously, beauty and horror. The Kite Runner displays beautifully the trauma experienced by thousands of Afghans as their country buckled and they tried to seek peace and freedom. The price of which, however, is shown to be devastating, whether it is friends or democracy, as we see the protagonist and other characters haunted by the consequences of Afghanistan’s tumultuous history. This book leaves a long-lasting impression. It is highly recommended.